As announced there will be major renovations to Irving Singerman Park. Due to financial and technical considerations phase 1 (renovations to the soccer field and lighting) and phase 2 (renovations to the playground) are now proposed to be executed in 2010. Now that the Quebec government has given its approval, we will be reducing the speed limit on side streets to 40km/h and asking the police to enforce the limit. As well we have introduced bollards on some local streets and will continue to monitor the effectiveness of these traffic calming devices. Over the past winter months, I gave up my car. To my great satisfaction, I discovered that the bus service to our city and particularly to our district is very good. I encourage you to use our public transit. 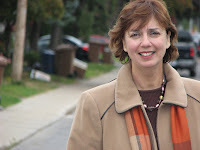 Along with the reconfiguration of the Cavendish Blvd. intersection, we introduced a new bus island and protected bus stop for buses 104 and 138 which take you right downtown. This now makes it more appealing for residents to take the bus at Cavendish and Fleet. As well we created protected crosswalks at the Cavendish Blvd. intersection and urge residents to cross only at these crosswalks. As always it was wonderful attending the St. Patrick Square Art Show. This year was their 25th anniversary and it was a very special event. The residents of the Saint Patrick Square pre-retirement community never cease to amaze us with their creative talents. Here I am with Mayor Anthony Housefather, Councillor Allan J. Levine and the artists of the show. 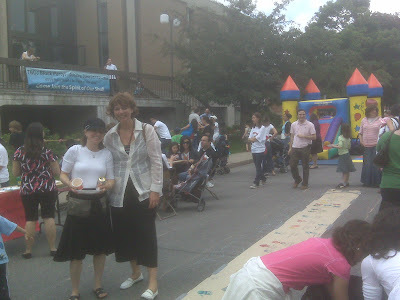 It was a great pleasure to participate at the first Congregation Tifereth Beth David Jerusalem (TBDJ) block party held on June 21, 2009 in front of the synagogue on Baily Rd. 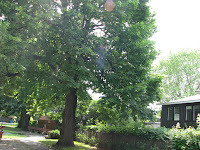 It was a beautiful day with many residents of the neighbourhood coming out for a good time. Our Emergency Medical Services (EMS) truck was on display while kids enjoyed the face painting, inflatable games and street hockey. The event also featured a local dog show. It was a very well organized event and the city welcomes residents holding such parties and looks forward to more such events in the future.